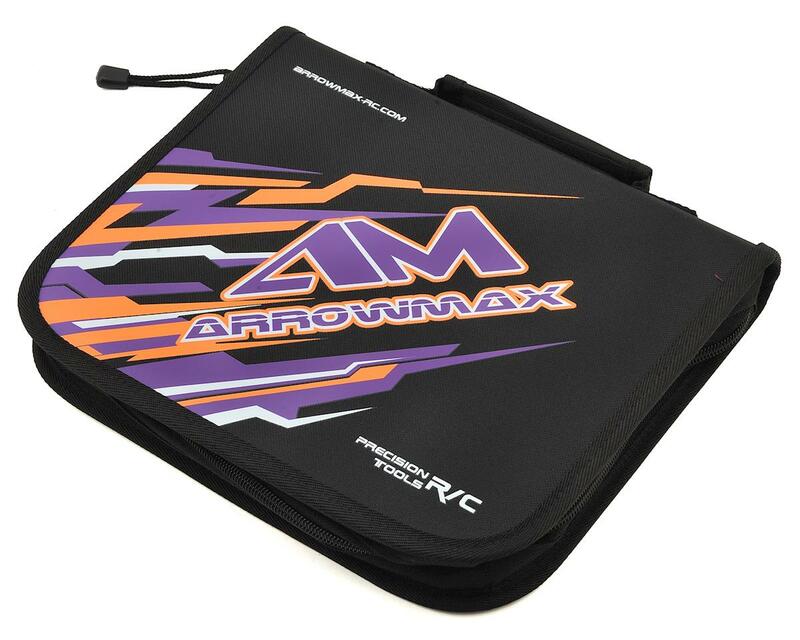 Arrowmax Black Golden Tool Set. This sixteen piece kit includes a majority of the tools you need to keep your machine ready for battle. Hex wrenches, nut drivers, screw drivers, a turnbuckle wrench, shock shaft pliers - and even a body reamer! 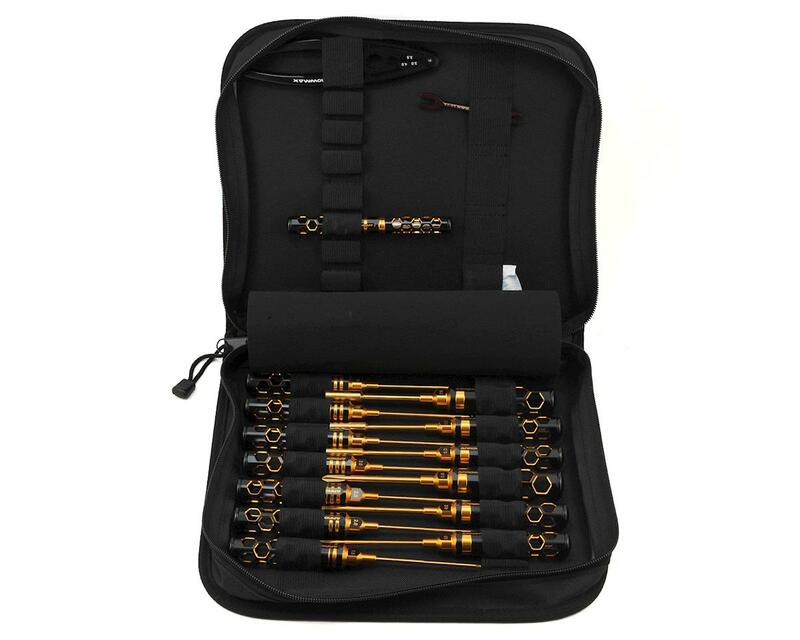 Black Golden tools feature an ultra lightweight, eye-catching hollow honeycomb handle design with a distinct black and gold anodized finish. Spring steel titanium nitride coated tips help to provide a long lasting tool that will stand up to years of use, while the lexan end caps create a more comfortable and controllable tool.